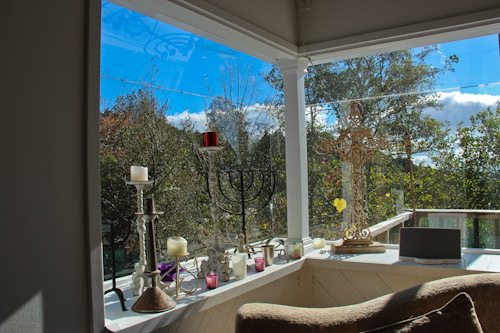 I’m blessed by our friend Mandy’s hospitality in Warkworth and am glad that I have been able to assist (in a very small way) as she packs up her house and moves up the mountain. 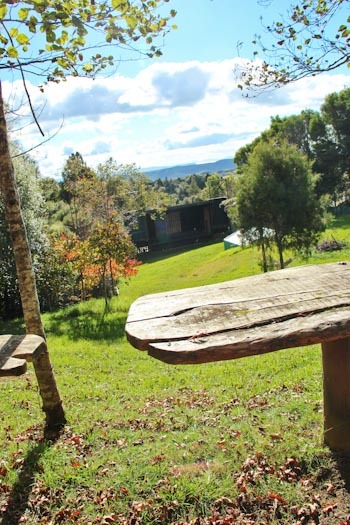 Mandy’s new property is in a rural setting past Matakana, with a natural amphitheatre and a purpose-built stage ready for concerts and other gigs. The house is perched on top a mountain ridge, and its view stretch northwest for miles. Further down the hill, a large stage in a natural amphitheatre offers the perfect setting for a concert. 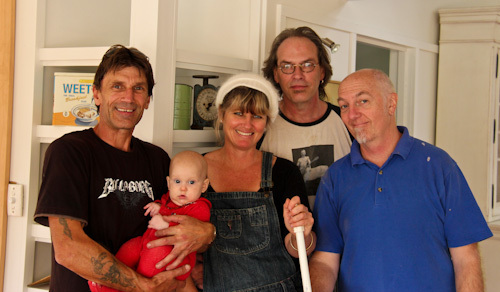 The maniacal moving team: Bruce (holding Elijah), Mandy, Mark and Jim. Working with these lovely people is rarely a straight-faced affair. 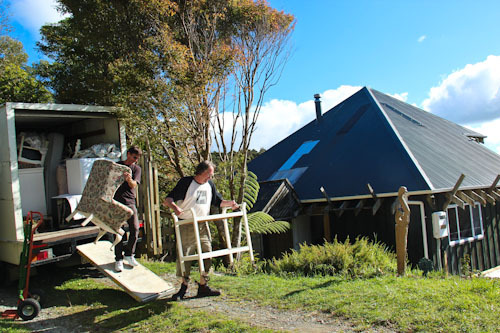 Bruce and Mark unload furniture from the truck before carrying it down some steps and into the house. 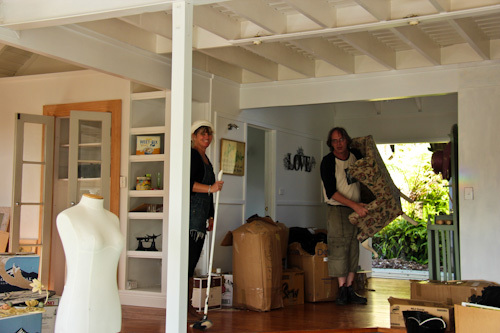 Mandy tries to make some order of all the boxes and furniture that's being brought in. The upstairs master suite still needs renovating, so Mandy is keeping everything downstairs for the moment. Mandy's just moving in, but I look forward to seeing how she finishes the house and decorates it. 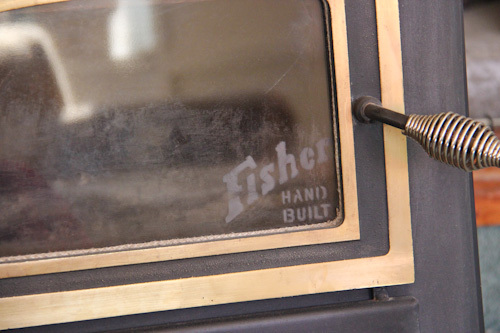 I was delighted to see that our extended Fisher family has built a wood fire especially for Mandy's dream house. I feel very privileged to be involved at the beginning Mandy’s move up the mountain. She has big dreams for transforming the place, and it’ll be wonderful to see her faith come to fruition in the coming years! 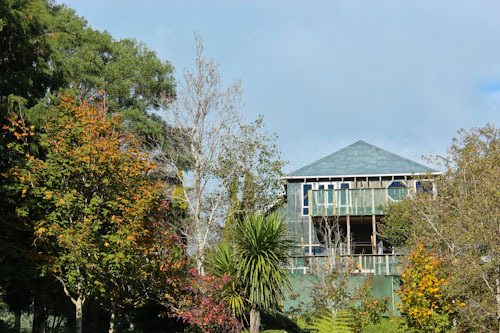 That looks like more than a house…it looks like a HOME!